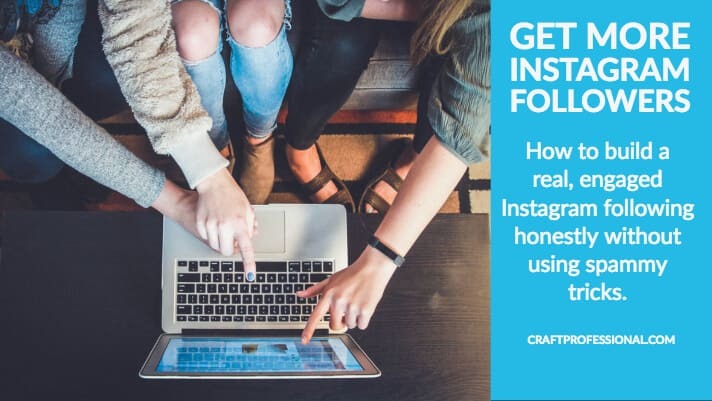 How to build a real, engaged Instagram following honestly. Strategies and tools you can use to promote your craft business on this social media platform. You know you need more Instagram followers. You've decided to use the social media platform as part of your marketing mix for your craft business. Why, right here, of course! I'll give you tips on what to share, how to protect your account, how to grow your account without spammy tricks, and the tools and workflow I use to post efficiently. As a craft professional, there are all kinds of images you could share on Instagram - product shots, of course, but also works in progress, your studio, your booth if you sell at shows, raw materials, tools, shots of yourself at work. Keep in mind, you want your overall feed (all of the images you post) to tell a story and form a cohesive whole. You can do that by using a consistent color scheme, or applying the same filter (filters adjust color and lighting on an image and are built in to the Instagram app) to each image. Before you start taking your own photos, find popular Instagram accounts in your own niche, and analyse them carefully. What types of images do they post? What seems to work? What doesn't work? Apply these principles to your own images with your own spin. Don't expect your photos to be perfect from the start. It can take some time to get it just right. Learn as much as you can by researching other sites in your niche, then learn some more by doing. Start posting your photos. See how they look in your feed and watch which ones get the most likes and comments. Look for patterns showing what works and what doesn't, and adjust your approach. Post at least once a day, and preferably more if that's realistic for you. Don't be intimidated by Instagram feeds that are full of nothing but perfect photos. Some Instagrammers will deleted any photos that missed the mark. They weren't perfect; they just got rid of the images that weren't great. One great feature of Instragram is the ability to interact with people in a particular niche. Search hashtags your customers might use to post their own images. It might take some experimenting to find the right ones, the more of a niche you're in, the easier it will be to find your people. Keep trying until you find your customers on Instagram. If it's not obvious, take a look at people who already follow you, or check out people who follow your competitors if you don't have your own followers. What are they posting about? What hashtags do they use? Once you've found some hashtags your customers use, have a look around. What are they posting under those hashtags? I have a little surf around Instagram a few times a day. Usually when I need a break from my other work. It provides some great insights into trends and what's important to others in a given niche. Actually, I try to get 10,000 steps every day, so I normally walk around my kitchen table while I surf Instagram on my phone. It might look a bit goofy, but it gets two jobs done at once. When you see something you like on Instagram, like it. It's good for the person who posted the image, and it's good for you. Liking images (double tap on the image, or tap directly on the heart below the image) is a way to be friendly with other Instagrammers, plus it's a way to get your account noticed. Likes usually generate followers to your own account, so like-away. Comments are similar to likes, but better. Commenting on an image will also help the person who posted the image, and it can get your account noticed. Commenting is tougher than liking because you have to think of something good to say. I have a couple of rules for myself about commenting. First, if I'm going to comment, I must say something specific enough that it's clear I am a real person who looked at the picture. One of the first things you'll notice when you get started on Instagram is the number of extremely generic comments you'll get. Some of these are probably from real people, although it's hard to tell. A lot of them are automated comments used by people who are trying to grow their own accounts using automated software. On my own Instagram account, I'll like sometimes generic comments I receive (click on the heart icon beside the comment). However, I rarely respond to generic comments because I assume they weren't left by a real person. I do always respond to specific comments that are clearly from a real person, and I usually check out that person's feed and will follow them if they look interesting. My second rule for myself is I only comment when a thought comes to mind immediately upon seeing the image. I won't agonize over what to say, which means I don't comment a lot. But if I scroll to someone's beautiful, handmade gold and topaz necklace, and I immediately think, "That's the most gorgeous shade of blue I've ever seen, and the gold sets it off beautifully." I will definitely comment, and I'll be that specific, so the account owner knows I'm a real person who looked at and appreciated her photo. Do be careful, particularly with likes. Some people use software to automatically like thousands of images. Instagram is on the lookout for that type of spammy behavior, and your account will be blocked if you like too many things in a short period of time. Like things you actually like. Do it a few times a day when you have a spare moment, and keep it real. I've had an online business since 2006. I've seen tricks come and go, and I've seen people's businesses get destroyed because they used tricks. Back in the day, people used tricks to get their sites to rank well at Google. In the short term, those people may have looked smart because those tricks worked for a while, and their results, from the outside looking in, were impressive. However, Google eventually caught up to those tricks, and when they did, people who used them lost plenty of their traffic from Google. Many lost their entire business. Some of the tricks people use on social media, likes for likes, follows for follows, for example, look a lot like the tricks people used to try to fool Google years ago. They might work for the short term, but over the long term, the social media sites will catch up with them and penalize accounts that use them. It's a manipulation that could get your account shut down. You want to build a following of real, engaged people, not people who are only following you to get another follower for themselves. It's obvious to people who are savvy about social media if you've played this game. If the number of people you follow is roughly equal to the number of people you're following, that's a dead giveaway. It messes up your feed, so instead of seeing accounts you want to see, you'll just see thousands of junky accounts that are part of this little game you're playing. What Are Pods or Likes for Likes? Another Instagram manipulation you might hear about are secret pods. Pods are secret groups of Instagrammers who agree to like and comment on each other's posts in order to give a boost in engagement. It sounds like the old link schemes designed to trick Google that worked for a while but ultimately decimated plenty of businesses. If the same 10 to 20 people are constantly liking and commenting on each other's posts, I doubt it would be difficult for the Instagram algorithm to detect and penalize that behavior. Instagram wants users to see the best and most relevant posts, not the posts by the people best able to manipulate their system. My rule is to keep it real. That approach might not quickly build a following of hundreds of thousands of people, but it will build a healthy following of real people who are interested in what you're posting, and it will protect your accounts from being penalized for using spammy techniques. Is It Safe to Use Instagram Bots? There are programs (sometimes called "bots") that will automatically like or comment on Instagram posts for you. They do appear to be used by a lot of people on Instagram. To my complete shock, even my son's 13 year old friends use them on their personal accounts. While bots may grow your following quickly, using them is against Instagram's terms of service, so there's a real chance it could hurt your account. It's another example of something that might look good in the short term, but you run the risk of damaging your account over the long term. A little bit of organizing will make Instagram so much easier for you. Don't feel you have to post in-the-moment photos on Instagram. The app does have that vibe. It feels as though the poster just snapped the photo moments ago. For the most part, those photos were planned well in advance. Trust me. Most of us don't have a series of spontaneous, Instagram-worthy moments on a daily basis. Those gorgeous photos you see take planning. I gather as many photos as I can, whenever I can, then post them over time. This approach works much better for me than trying to find great photo opportunities every day. If you have Instagram-worthy moments on a regular basis, and the need to create great photos daily doesn't stress you out, go a head and post spontaneously. However, having a collection of images that you snapped ahead of time will help you post consistently without letting your Instagram marketing take over your life. I edit all of my images on my computer, but you could also edit images on a mobile device. 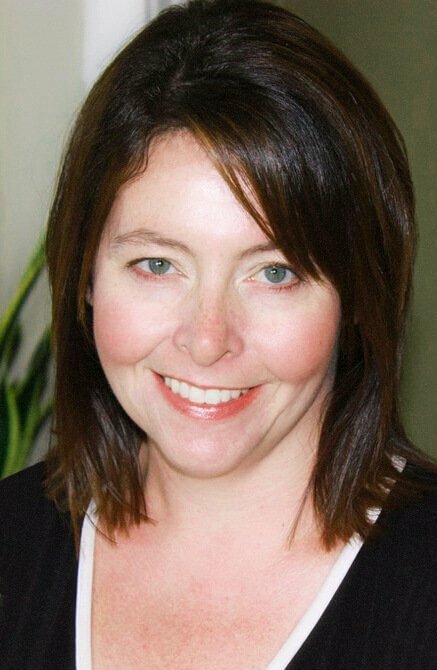 Just use the workflow that works best for your preferences and the tools you have available. I've posted a round-up of tools you can use to edit images on a computer or mobile device. I use Adobe Photoshop. It's not the cheapest option, but I use other software from Adobe regularly, so having a subscription to Adobe Creative Cloud (which includes Photoshop) makes a lot of sense for me. Images posted to Instagram should measure 1080px by 1080px. I have a template saved to my computer that is sized correctly for Instagram. The template also contains some graphic details I've been experimenting with - a tiny logo, and text boxes, for example. Starting with a template helps save time. I don't have to set up a new file every time I want to edit an image. Plus, it helps keep my images consistent looking. I'm still experimenting with exactly how I want my images to look to communicate the right message and still get good engagement. If you follow me on Instagram, you'll probably see the style change over time. That's part of the process there. Try things until you find what works for you and your niche. Setting up posts ahead of time can help you post to your social media accounts regularly and at the best times. First, I have a rule for myself about using outside services in conjunction with business social media accounts. If it's feasible to post directly to the platform, I'll do that. For example, Facebook allows you to schedule posts directly on their site, so that's how I schedule Facebook posts. If I can't schedule directly from the site, I'll only use external services that are official partners of that particular social media platform. I figure, if I'm only using official partners, my account can't get penalized or removed for using an unacceptable outside tool. You can find a list of official Instagram partners here. I've been using Tailwind to schedule posts and keep track of Instagram hashtags for over a year. Tailwind is not free, but it does offer a free trial, so you can determine if it works for you. When I started working with Instagram, I used to use only free tools (like Microsoft OneNote) to manage my Instagram posts and hashtags, but I eventually decided the time I save with automatic posting makes Tailwind worth the cost for me. Find an image I want to use. It's usually floating around somewhere on my computer. Edit the image on Photoshop so it's the right size. Adjust exposure, color, etc. as needed. Possibly add text. Go to Tailwind on my computer and enter everything needed to schedule the new post including: upload the image, paste the comment I want to add, add relevant hashtags with Tailwind's hashtag management tool. When it's time to post, Tailwind automatically posts the image to my account. 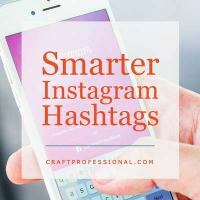 Smart use of hashtags is crucial to getting found on Instagram and growing your account without resorting to spammy tactics. Hashtags are so important, they deserve their own article. Finish reading this article, and then pop over to my article about Instagram hashtags to learn how to research and use hashtags that fit your own niche and aren't too competitive. To post directly on Instagram, you will need a mobile device that's compatible with the Instagram app. There's no simple way I know of to post to directly to Instagram on your computer. You can post to Instagram without a mobile device if you use a tool like Tailwind. Tailwind allows you to do all of your work on your computer with no need to use a phone or tablet. However, Instagram is largely a mobile app, so it's smart to see how your posts look in the app. If you don't have a smart phone or tablet that's compatible with the Instagram app, I'd suggest asking around to see if any of your friends or family members have the Instagram app and if they would allow you to have a look at it. Ask someone under 25, and I'll almost guarantee they have the Instagram app on their phone. If you're not tech-savvy, and some of the details around setting up an Instagram account, installing the app on a tablet or smart phone, or hooking an external app like Tailwind up to your Instagram account sound intimidating, find yourself a helpful teenager. They will know exactly what to do. If they don't know, they won't be afraid to click around until they figure it out. Instagram is wildly popular with teens. They will be able to install the app for you, and if you find a teen who has the patience to explain things clearly, they can get you going. If you don't personally know a helpful teen, and you want some help, check with your local library. They often host technology help sessions aimed at helping people get started with different types of technology. Remember that article I mentioned about choosing the right hashtags for Instagram? You don't know everything you need to know about building an Instagram following if you don't know how to choose good hashtags. Click over to the article Smarter Instagram Hashtags to discover how to choose the right hashtags to build your Instagram following. 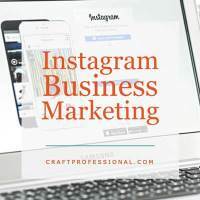 You might also like to check out the first article in the Instagram series, Is Instagram Marketing Right For Your Business? 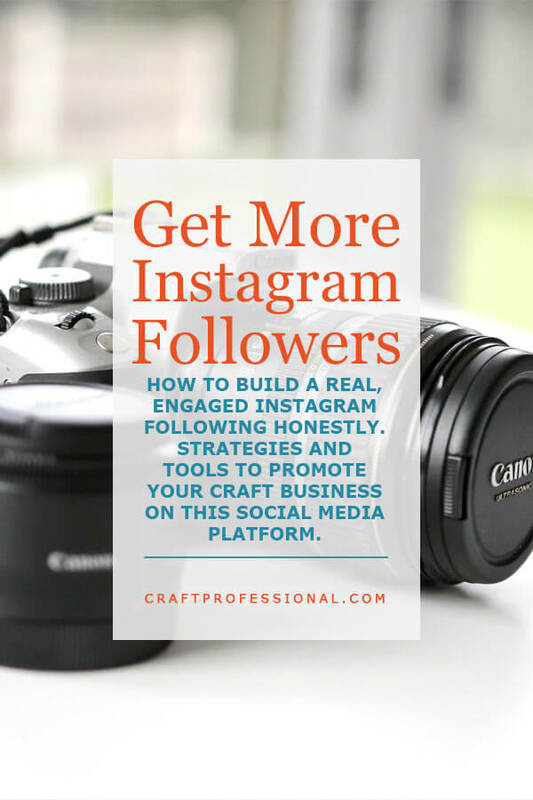 It will help you determine if Instagram is the right place to market your craft business and help you meet your goals.